Did you know that the leading expert about the psychology of exercise and music, Dr. Costas Karageorghis, calls music the “legal performance enhancing drug” of fitness and exercise? 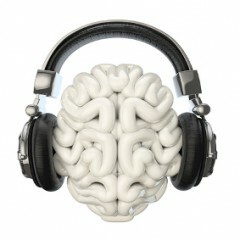 Music promotes emotional and physiological arousal. 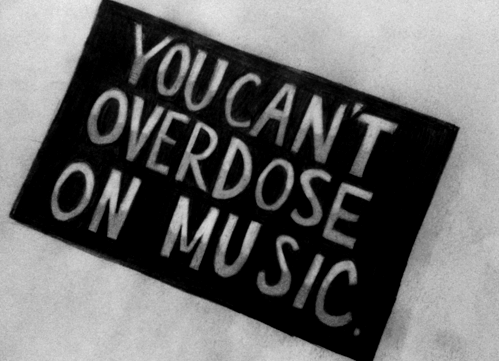 Music reduces fatigue, especially at moderate levels of exercise, by distracting us from our physical awareness. Music turbocharges our mind’s focus on performance and muscle memory and as the beat of music increases, power output and exercise intensity increases for mild to moderate ranges of exercise. Music improves our motor coordination as we move to the rhythm. Music relaxes us as a result of dampening byproduct molecules associated with high levels of exercise. Research studies have shown that music can enhance performance, motivation and reduce exertion. Researchers first found that cyclists pedaled faster when a band was playing than when there was no music. A more recent study found that people who cycled to music required 7% less oxygen to do the same work as cyclists who didn’t synchronize their pedaling. Another study found that swimmers with music got a 10% boost in motivation and a full 3-second improvement in performance. So why wouldn’t you want to do everything you could to enhance your workout? No matter what genre you like, the most common rhythm is about 120 beats per minute (BPM). Power walkers report enjoying 137-139 BPM, runners about 147-169 BPM, and cyclists about 135-170 BPM. However, the BPM you choose for an activity depends on your mood and purpose for your workout. Moving to synchronous music with a clear and steady beat can boost your performance by up to 15%, while listening to relaxing music, called asynchronous music, can reduce tension as much as 10%. Music opens the floodgates of memories and emotions, working on the auditory – motor brain connection, so it’s important to have total control over what you listen to when you workout. This covers the internal and external elements of music’s impact on exercise—our heart and our mind. To enhance your performance and motivation, find the right music for your next workout. With RockMyRun, you can choose the right tempo and genre for your music from more than one hundred music mixes by professional DJs. Once you’ve found the right beat for you, get ready for an added dose of enhanced performance.